Bell Flavors & Fragrances showcased innovative flavors during the Research Chefs Association Expo in Savannah, Georgia on March 26th through March 28th. 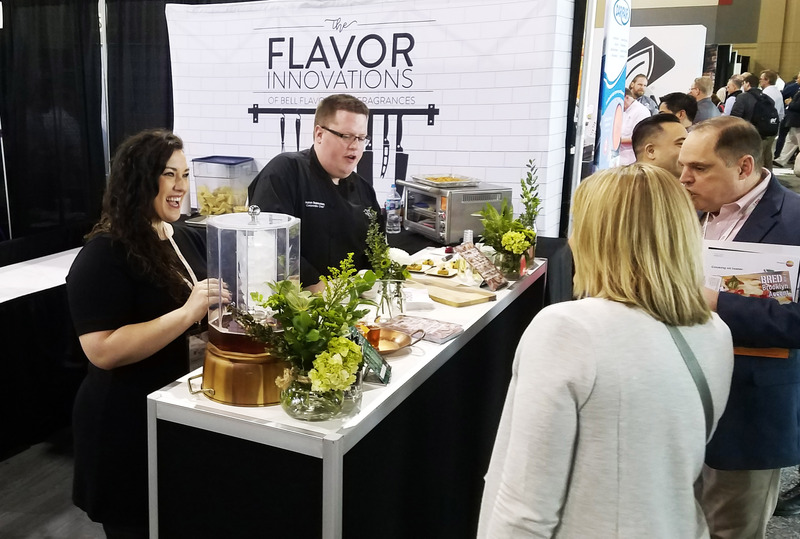 The RCA Expo displays some of the most cutting-edge and inventive flavor products and is host to an excellent source of networking professionals within the flavor and culinary industry, including culinary chefs, R&D specialists, and professionals across different industries. RCA was founded in 1996 by R&D chefs who were committed to overcoming challenges that any flavor R&D professional would face. RCA members were the first to trademark the practice of Culinology® which combines culinary arts with food sciences. Today, RCA hosts a variety of events throughout 17 regions across the U.S. and Canada. The association offers educational opportunities through professional development, certifications such as Certified Research Chef (CRC) and Certified Culinary Scientist (CCS), and partnerships with top colleges and universities offering scholarships and mentoring programs. Bell was on display for attendees during the RCA Expo and showed unique flavor innovations with Lushan Mountain Shrimp Toast and their Plum Chinese Herbal Black Tea.